Original 1970's New Old Stock. 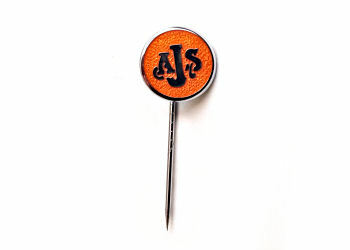 AJS Pin badge / Tie pin. Chrome plated with orange enamelled face.